I was inspired to write this “Chase Armstrong bullfights a Coahuilaceratops” story while vacationing in Sayulita, Mexico. I made the cover art myself, using the Poser program with DinoRaul’s Coahuilaceratops model, along with Poser’s human character, James G2. It came out okay, didn’t it? 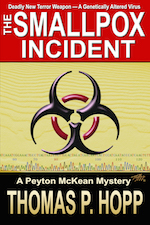 I expect the e-book to be available within a week or two on Amazon, Barnes and Noble, and other e-book sites. Check it out. 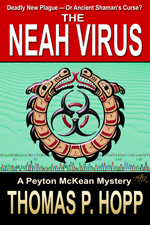 Free samples are available for the first half or so, and then you’ll have to decide if you want to spring for the 99-cent cost for the whole short story. I hope you will. 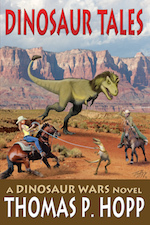 This is the first in a series of stories based on my Dinosaur Wars novels. 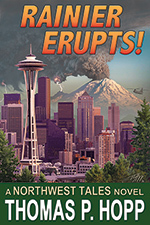 I’m calling the series Dinosaur Tales, in the spirit of dino-fiction pioneer and science fiction superstar Ray Bradbury. Like me, he’s had a lifetime fascination with the big prehistoric beasties. 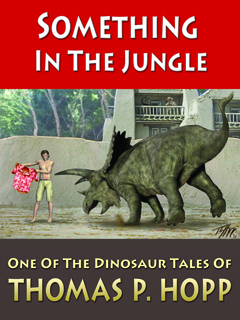 Note added June 12, 2015: The short story version of “Dinosaur Tales: Something in the Jungle” has been incorporated into the full length book Dinosaur Tales. 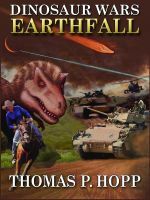 This entry was posted in Dinosaur Country and tagged Bradbury, Dinosaur Tales, Dinosaur Wars, ebook, science fiction. Bookmark the permalink.